Sarecycline (Seysara™) is an oral, once-daily, tetracycline-class drug for which a tablet formulation is approved in the USA for the treatment of inflammatory lesions of non-nodular moderate to severe acne vulgaris in patients aged ≥ 9 years. The drug was developed by Paratek and Allergen and later acquired by Almirall S.A. (a Barcelona-based pharmaceutical company focused on medical dermatology). Sarceycline tablets were approved in early October 2018 and are planned to be available for patients in January 2019. Sarecycline capsules have also been studied in the USA, but no recent reports of development have been identified for this formulation. There are currently no clinical trials underway assessing sarecycline in rosacea. This article summarizes the milestones in the development of sarecycline leading to this first approval for the treatment of inflammatory lesions of non-nodular moderate to severe acne vulgaris. During the peer review process the manufacturer of the agent under review was offered an opportunity to comment on the article. Changes resulting from any comments received were made by the authors on the basis of scientific completeness and accuracy. Emma Deeks is a salaried employee of Adis/Springer, is responsible for the article content and declares no relevant conflicts of interest. Mayo Clinic. Acne. 2017. https://www.mayoclinic.org/. Accessed 18 Oct 2018. U.S. Food and Drug Administration. Novel drug approvals for 2018. 2018. https://www.fda.gov/Drugs/DevelopmentApprovalProcess/DrugInnovation/ucm592464.htm. Accessed 18 Oct 2018. Allergan Pharmaceuticals International Limited. Seysara (Sarecycline) tablets for oral use: US prescribing information. 2018. https://www.accessdata.fda.gov/. Accessed 18 Oct 2018. Warner Chilcott. Warner Chilcott and Paratek Pharmaceuticals sign collaboration agreement for novel, narrow-spectrum agents for acne and rosacea [media release]. 9 July 2007. http://www.warnerchilcot.com. Almirall Canada. Almirall buys Allergan’s US dermatology portfolio for $650 million [media release]. 3 Aug 2018. http://www.almirall.com. Almirall S.A. Almirall acquires Allergan U.S. medical dermatology portfolio [media release]. 21 Sep 2018. http://www.almirall.com. U.S. Securities and Exchange Commission. Form 10-K: Paratek Pharmaceuticals, Inc. 2016. https://www.sec.gov/Archives/edgar/data/1178711/000156459017003144/prtk-10k_20161231.htm. Accessed 18 Oct 2018. Center for Drug Evaluation and Research. Application number 209521Orig1s000. Multi-discipline review. 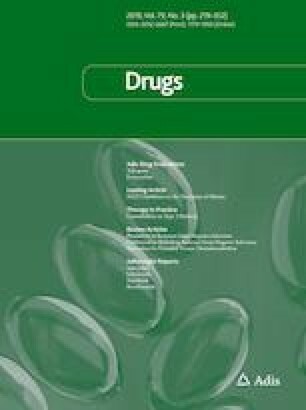 2018. https://www.accessdata.fda.gov/drugsatfda_docs/nda/2018/209521Orig1s000MultidisciplineR.pdf. Accessed 10 Jan 2019. US National Institutes of Health. ClinicalTrials.gov identifier NCT02413346. 2018. https://clinicaltrials.gov. Accessed 17 Oct 2018.